Washington DC is considered a significant center of African – American culture. During 1920’s, the majority of the population was black. It was considered a black majority city. 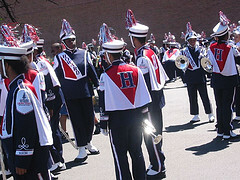 Howard University is located in Washington DC and considered an important black college. The U Street is known to be the Black Broadway. Duke Ellington usually performs there. Washington DC is also the home of other important African-American figures that create name in history and culture. Another emerging culture is education of the deaf. You can find the Gallaudet University and its primary mission is to educate the hearing impaired. For travelers, the first thing concern with etiquette in a new city is while traveling. First time visitors should keep in mind that they must observe proper conduct in order to avoid making enemies with the locals. When riding the train, always stand on your right side. The left side is used for walking. When you exit the train, never stop at the door to fix your things or get your bearings. It is best to do it out of your travel. As a courtesy, allow the passengers to exit first before you enter the train. If the train is crowded, stay at the middle to allow people to board. When standing on the train, don’t lean on the post to allow others to hold on the rail. It is advisable to lower down your voice when chattering. If your fare card is not working for the first time, avoid trying. Just go to the station and manage to avoid traffic. When walking slowly, it is best to stay on your right. The left lane is for fast walkers. It could be annoying to locals to get disturbed by slow walkers. Try to avoid the subways during rush hours. There are priority-seating areas, always honor it. If seating is limited, do not sit especially if your destination is just two to three stations ahead. If you are climbing the stairs, leave the left side open for runners and those who are in a hurry. Avoid carrying your metro card with your cell phones because the bar code might get ruined that would make it unusable. As an advice, always check the metro map before embarking. Check the station that you will be entering. Count the stops between your destinations. It maybe to hard to hear the announcements therefore it is best to do it on your own in order to avoid missing a stop.